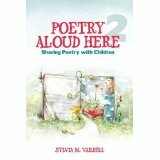 Congratulations to Sylvia Vardell for her newest title, POETRY ALOUD HERE 2. My copy arrived a few days ago and the wait was certainly worth it. 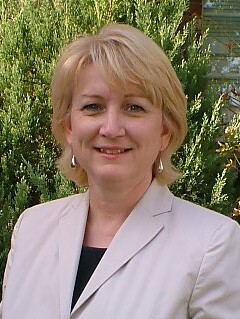 Sylvia is a professor at Texas Woman’s University in the School of Library and Information Studies, where she teaches graduate courses in children’s and young adult literature. She is recognized as one our leading authorities on children’s poets and poetry and I’m grateful to see her latest book in print. Many of you also know her through her partnership with Janet Wong that has produced a growing number of poetry anthologies for the classroom under their imprint, Pomelo Books, including Poetry Friday Anthology (K-5), Poetry Friday Anthology, and Poetry Friday for Middle School. The dynamic duo also collaborated on PoetryTagTime (K-5), P*TAG (for teens), and Gift Tag (holiday poems for K-8). Way to go, Sylvia! And thank you! ANNOUNCEMENT: Here’s part of a note from Christopher Boucher, Managing Editor of POST ROAD. This might be of interest to my west coast friends. I’m writing, first, to thank you again for allowing us to showcase your work in Issue 26 of Post Road. I hope that you’re pleased with the issue – we certainly are; the consensus here is that it’s one of the strongest issues that we’ve ever produced. We’ll be featuring PR26 at this year’s AWP Conference, which begins on Thursday at the Washington State Convention Center in Seattle. If you’re attending AWP, please stop by our table (J10) and say hello.